The Encore Nancy Zeltsman Graduated Set was devised to provide an affordable means to try a graduated set if you haven't already done so. This is a combination of mallets I use about 60% of the time. It naturally "voices" most chord playing. In essence, this graduated set is an example of the way my entire line was designed to best flatter different registers of the instrument. 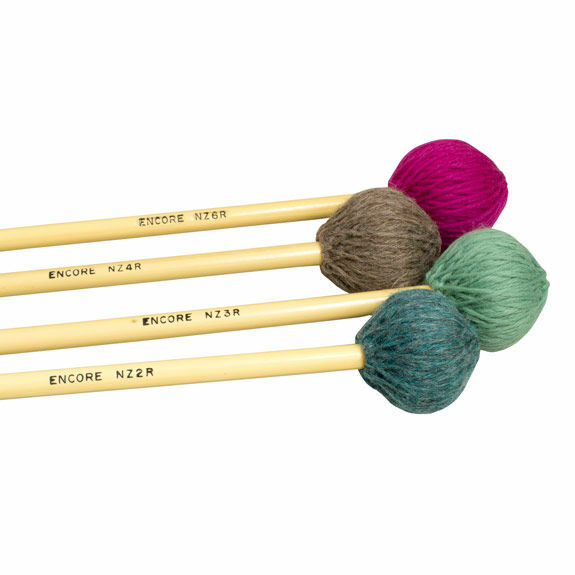 This Graduated Set of 4 Encore Nancy Zeltsman's mallets includes 1 each of NZ2R Medium Harder, NZ3R Medium Hard, NZ4R Medium and NZ6R Articulate Bass. Rattan Handles.